OK, I've analyzed the expansion drama every which way in my brain and am thoroughly worn down. So let's go out with a real bang and commingle conference expansion and the BCS. 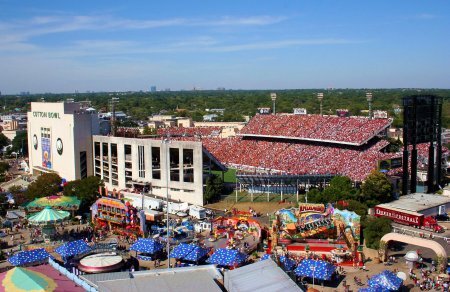 With the college world finally settling down, I reached out to our favorite forecaster, Zach "Blue Horseshoe" Rosenfield of AccuScore.com, for his read on how the rearrangement of the conference deck chairs will impact the annual BCS jockeying. Blatant Homerism: Now that we've reached something of an end to the upheaval, what's your take on how things shook out with expansion? Zach Rosenfield: I am glad the Big 12 expansion/contraction/exodus/lockdown is over. Now that the dust has settled, I am really on the fence on how to feel. On one hand, the conference shed some dead weight in Colorado and lost a brand in Nebraska. However, the Nebraska brand is not anything it used to be, and the Cornhuskers won no Big 12 titles over the past 10 years. So is it really that bad that they are gone? Is really that bad that the perennial Big 12 North champ and championship game runner-up is gone? Not really. Oklahoma traditionalists will whine, but that rivalry was compromised in the 1990s when the Big 12 decided to have that game two years on, two years off. Homerism: I can already hear the furious typing of Big Red fans composing enraged e-mail missives for you. What about Colorado? Rosenfield: Losing Colorado is a whole lot of nothing. The Buffaloes have been terrible for a long time. The Pac-10 can take them. Homerism: Boulder blankly stares back at you. Rosenfield: But this all just shines the spotlight on what the Big 12 really is: a bunch of Mickey Mouse programs, highlighted by some monsters. I was all for joining the Pac-10, because I liked the idea of the Big 12 South winner playing the old Pac-8 champion in a playoff. Homerism: What about the Arizonas? Rosenfield (continuing): It was the preamble to a playoff with basically two conferences playing for the right to send the best team to the championship game. For that, I am bummed the whole thing didn't work out. Homerism: But at least Iowa State and Baylor are still playing in a big-time conference, right? Rosenfield: I am embarrassed for the "little seven." I think Dan Beebe is as bad at his job as one can be, and the business structure he instilled to hold the conference together really seemed like a desperate ploy to keep him off of the unemployment line. The little seven are no better by agreeing to unbalanced revenue sharing. They gave up the NU/CU buyout money to Texas, Oklahoma and Texas A&M and made other small concessions so they would not fall into the college football abyss. 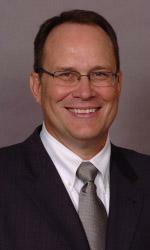 Homerism: So how do you think all of these changes are going to impact the Big 12's standing in the BCS landscape? Rosenfield: Over the last two years, the formula for getting to the national championship game has been make it to the first weekend of December and play in your conference championship game. Media, pundits and voters have made that weekend college football's defacto semi-final Saturday. For years we laughed at the Big Ten and their lack of presence on that day, as the SEC and Big 12 champions grabbed the spotlight and their spot in the finals. The Big 12 has now given up that leverage, that spotlight and the ability to sway votes. 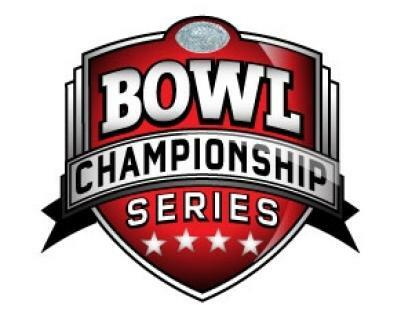 The incredibly shallow depth of the conference will be highlighted, as the Big 10 showcases its championship game in the Big 12's vacated time slot, while boasting a far deeper roster of quality teams. The Big 12 is headed for dark days. It's over. The free ride the conference had with their kings despite losing late October games is over. That's what happens when you want to play your conference championship in October in Dallas. You are all in with that winner, and that is not a good thing. Homerism: What if the Red River Shootout was moved to JerryWorld and played on the first weekend in December? Rosenfield: Well, that's a good question. I don't think that will happen. I think the Big 12 is on its last legs and will not be around in five years. I am not sure how long OU-Texas is contracted with the Cotton Bowl, but I would gather the Big 12 will change dramatically before that contract expires.